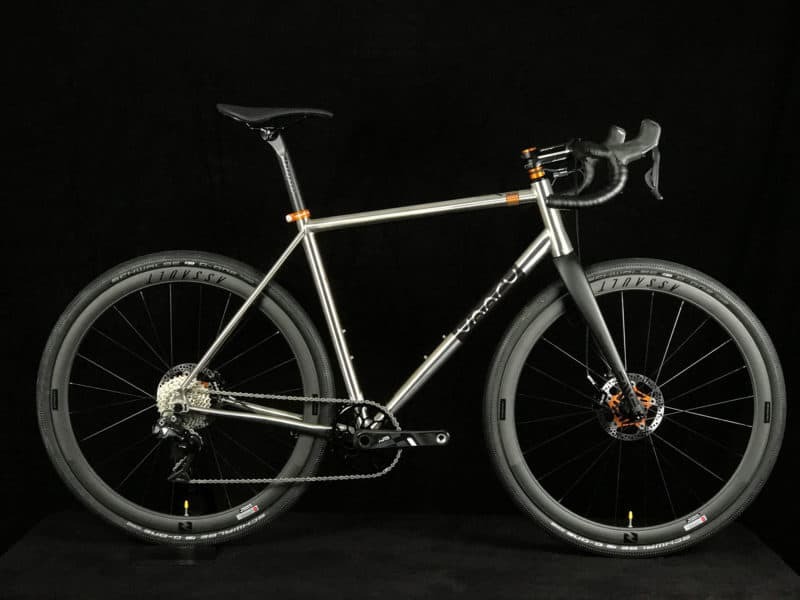 The GTA | gravel | terrain | adventure | is VAARU’s titanium gravel bike and is comfortable over mixed terrain . The GTA geometry is inspired by a mix of CX bikes, adventure bikes and road bikes and is the perfect choice for a long distance adventure. The top tube is carefully positioned to fit a large frame bag whilst still having room for bottles. The GTA has been designed to use a 395 mm axle to crown cx disc fork which means you can also use up to 38mm 700c tyres. If you prefer not to use frame bags there are useful pannier mounts. Titanium Frame from £1999. The GTA is made to order, please contact us for more information. 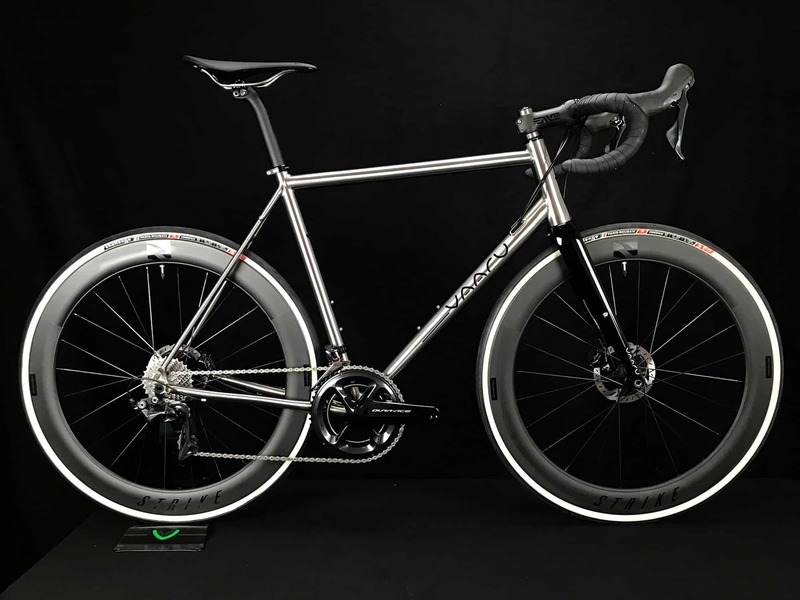 The GTA – Gravel | Terrain | Adventure – titanium road bike comes with all the superior frame qualities that VAARU titanium frames are known for, tapered headtube, double butted 3AL/2.5V tubing, formed chain stays and seat stays which are designed to provide maximum comfort over rough surfaces. The GTA comes fully compatible with both internal Di2 or mechanical cable options. The frame has the latest through axle and utilises Shimano flatmount brake technology and enough space for 38mm tyres. Please contact james@vaarucycles.com for full build options for the GTA.